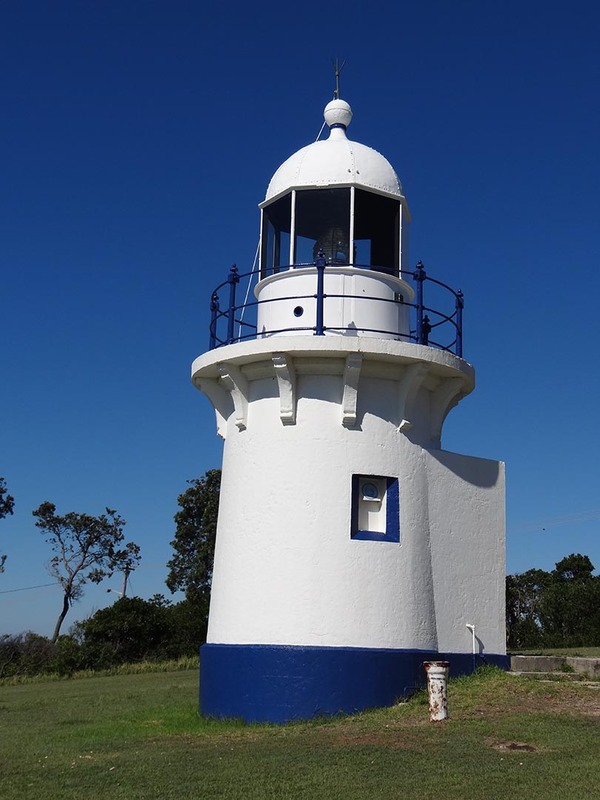 Richmond River Lighthouse | Lighthouses of Australia Inc. 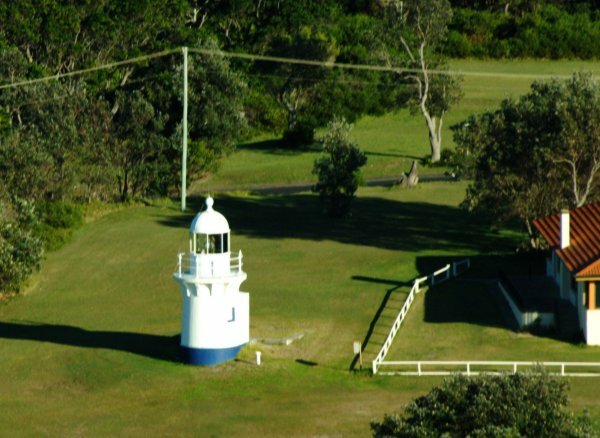 The Richmond River Lighthouse is the twin of Fingal Head, Clarence River, Tacking Point and Crowdy Head Lighthouses. A temporary light was first established in 1866 to guide ships into the river port at the mouth of the river which is now East Ballina. James Barnet designed the current lighthouse. Tenders were called for it’s construction in 1878, it was built in 1879 and exhibited in 1880. The light is the twin of the ones at Fingal Head, Clarence River, Tacking Point and Crowdy Head. The first apparatus was a fixed catadioptric light of less than 1000 candelas and was visible for twelve miles. 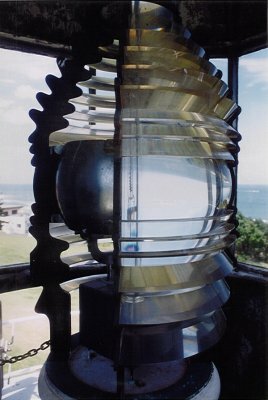 The current light is a 2nd order apparatus. 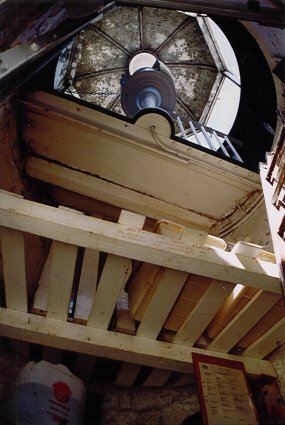 A ship masthead lantern was raised on a wooden structure 30 metres from this light to act as leading lights into the Richmond River. It was powered by colza oil, but was automated with conversion to acetylene gas in 1920 then to mains electricity in the 1960s. © All images are copyright of their respective photographers and are not to be used without permission. The light was run in conjunction with the Pilot Station and there fore only needed one keeper. 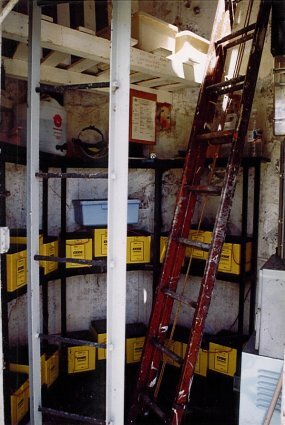 The location of records for the Ballina Pilot’s Station can be found at State Records of NSW. We need your help in compiling a list of keepers for this lighthouse. If you have any information then send it to keeper@lighthouses.org.au. Please include this lighthouse’s name, the keepers full name and what years they were keepers. Also include the same information for any other lights they were on. Character Grp. Fl. (4) 16 secs. NB: Information is historical data and is not for navigational purposes. The lighthouse grounds are open all year.